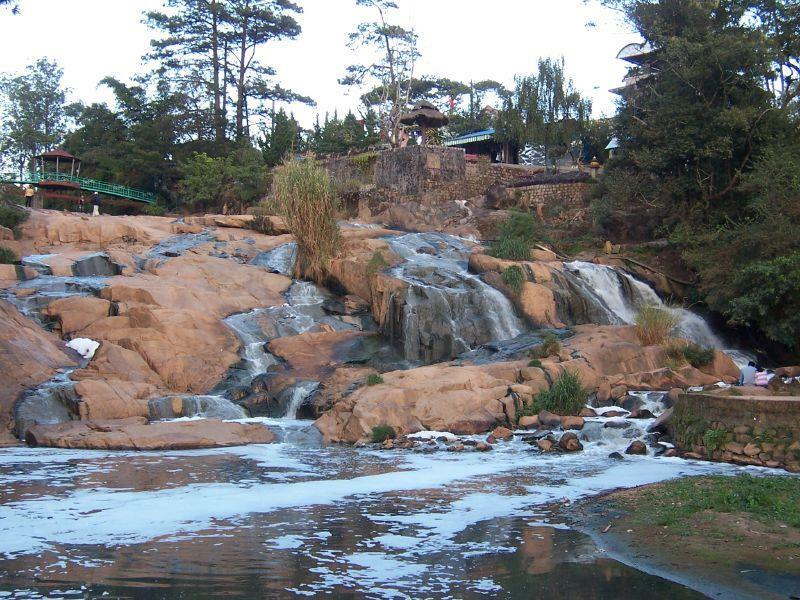 Far about 2 km from Dalat city center to the west, Cam Ly Falls is located in ward 5, Dalat city, Lam Dong province, Vietnam. The waterfall is situated on Cam Le stream. 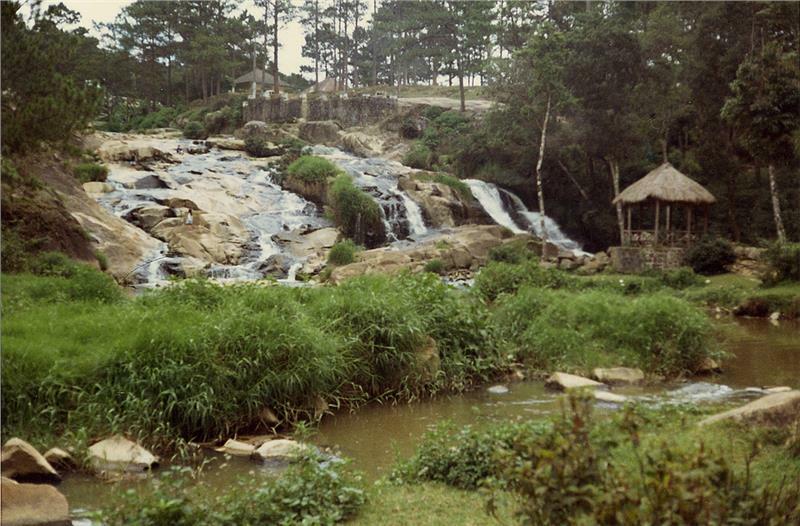 Not as noisy and thunderous as other wild waterfalls in Dalat, Cam Ly Waterfall is relatively modest and quietly flows through the granite cliffs. 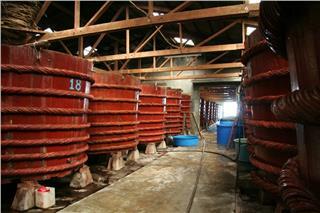 The splashing water flowing is beautiful and sparkling looking like crystal beads under the sunshine. 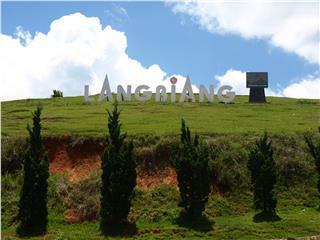 As one of the fascinating tourist attractions in Dalat, Cam Ly has become a source of inspiration for artists and tourists when standing before the interesting and impressive nature. 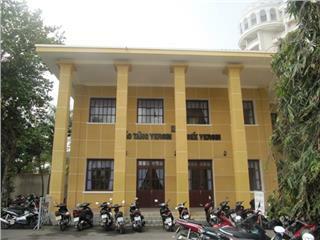 As one of the most famous waterfalls in Vietnam widely known throughout the world, Cam Ly Falls has attached to the gratefulness of people in Lat village to the patriarchy namely K'mly. Over time and under the pronunciation of people from other ethnic groups, the name is pronounced as Cam Ly as today. 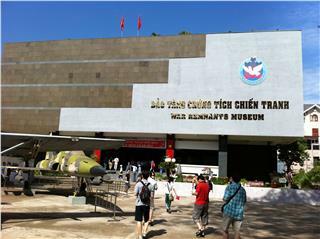 However, there is also an assumption that Cam Ly was derived from Chinese - Vietnamese language. "Cam" means "sweet" and "Ly" means "absorbing into the center". 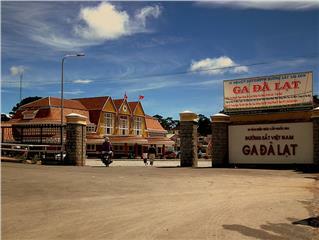 No matter how the name is understood, Cam Ly still remains the "soul" of Dalat, a must-see tourist sight in the journey of discovering Dalat travel alluring the great number of both domestic and international tourists. Cam Ly Falls is formed from Cam Ly stream. 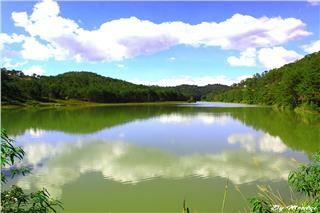 Cam Ly stream is created by the confluence of the small streams on Lang Biang Plateau winding in Dalat. 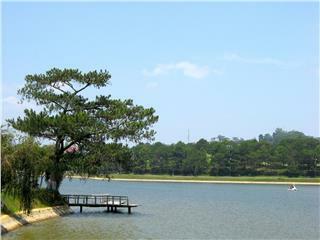 The stream passing through Than Tho Lake to the green valley is stopped, which forms Xuan Huong Lake. 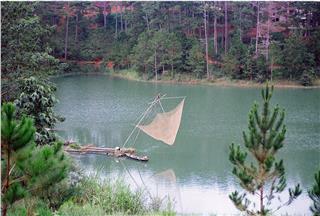 A stream flows into the lake to the north, whereas a falls flows into the south from the lake under a bridge. This stream flows to the west, then is stopped by the blocks of granite. The stream blocked makes the water flowing become much stronger and divides the water into many small vortexes flowing into the rock crevices and passing through the rocks to form Cam Ly Waterfall. 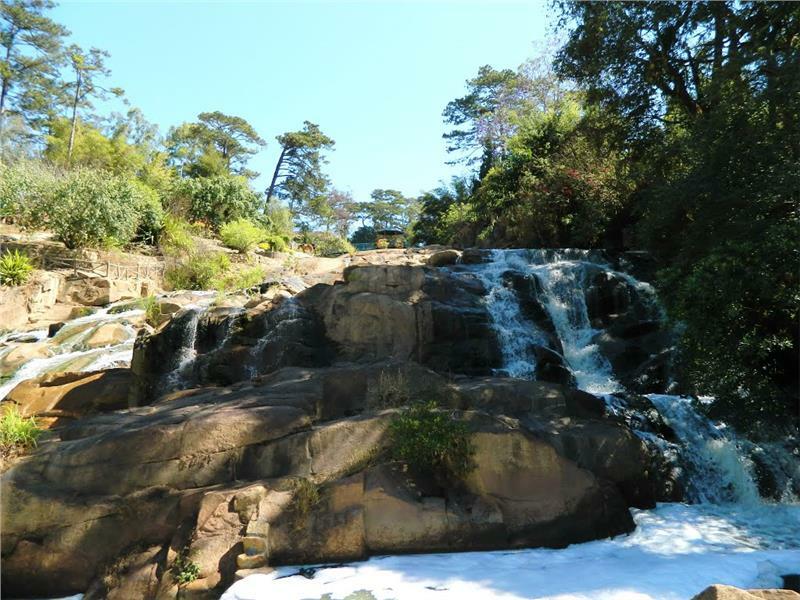 Cam Ly Waterfall, though is not as majestic as other Dalat waterfalls, still retains its own beauty which is unmistakable. 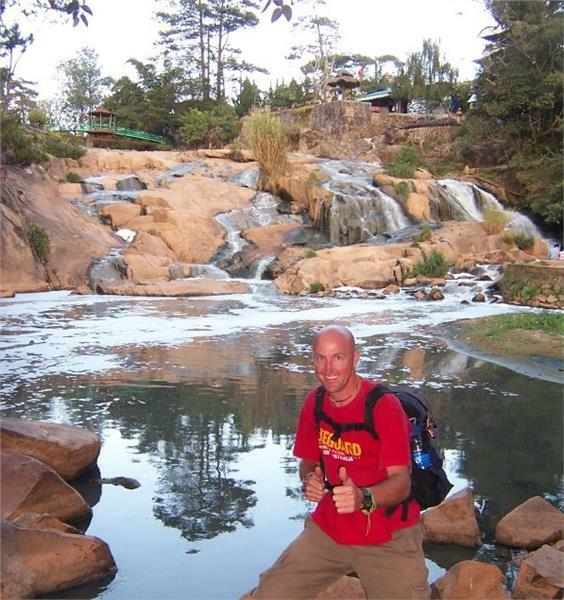 Discovering Cam Ly Waterfall is definitely one of the most unforgettable things to do in Dalat. 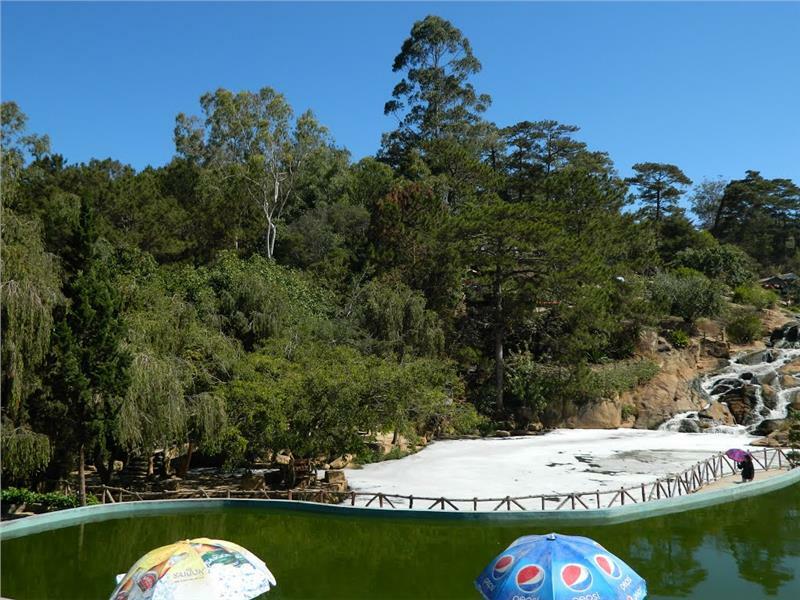 The spectacular waterfalls associated with views of the hill surrounding has created an unforgettable scenic sight to tourists in mind when setting foot in Dalat. Above the falls is the bridge crossing the stream. Tourists can take a stroll up to the bridge to much clearly admire the waterfall falling down. At the foot of the waterfall is the small brilliant flower garden year round. 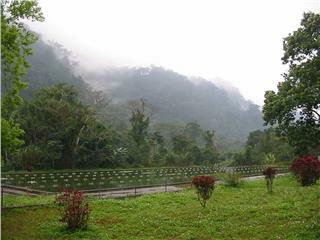 Surrounding the waterfall is the magnificent architectural works, which is completely harmonious with the nature. Tourists can also quietly sit for hours in the middle of the waterfall ledges to feel the whispering running water. In the rainy season, the water from upstream creates the white frost covering whole area looking like absolutely romantic. 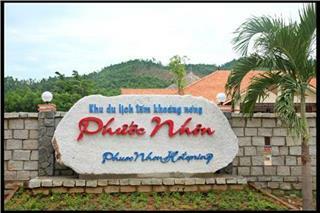 It is also the reason why Cam Ly had gone into poetries of poets, which has become one of the fascinating tourist Dalat attractions yearly alluring the great number of both domestic and international tourists. One of the highlights that makes Cam Ly Waterfall become impressive is probably the position of the falls. Normally, to discover any waterfalls, rivers, streams with the beautiful scenery, tourists often have to go a bit far from the center. However, thanks to its great location, Cam Ly Falls makes people sometimes feel like that just a few steps, they can leave the hustle and bustle in order to immediately immerse in the poetic and peaceful atmosphere of the stunning nature. 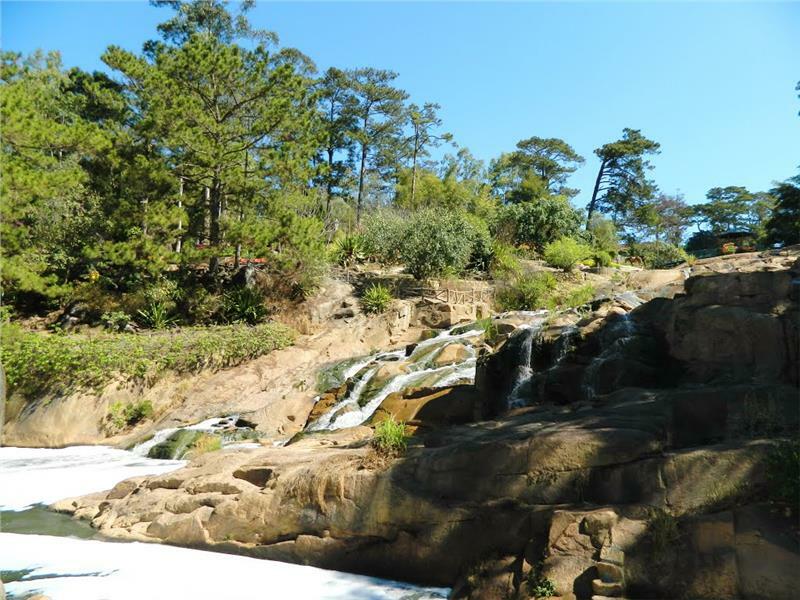 The waterfall is one of the indispensable symbol of the misty city like other tourist sights in Dalat tour such as Xuan Huong Lake and or Than Tho Lake. 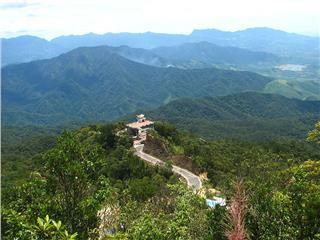 Surrounding the waterfall is the magnificent architectural works, which is completely harmonious with the nature. Cam Ly Falls today has been invested and embellished with many miniatures inspiring the characteristics of Highlands. Under the flowing of the time and the tourism development of one of the most romantic cities in the highlands, Cam Ly Waterfall has been tranquil and retained its lovely beauty as it used to be. 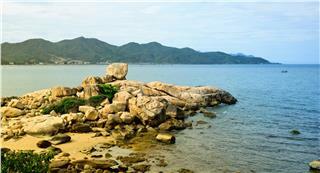 This beauty has always been fascinating enough to attract tourists in the journey of exploring the magnificent natural world. Seen Cam Ly Falls from afar, tourists will feel the majestic stature of the waterfall looking like a dragon serpentinely lying among the natural landscapes full of poetic and romantic. 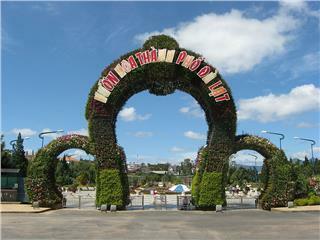 Cam Ly Falls thus plays an important role to promote Dalat tourism closer to international friends.